I want to share with you an employee assistance program utilization improvement hack I created that will help boost your EAP utilization nearly overnight. It is called the "Good Health Supply Line®". I created this service as part of the EAP program I owned in the early 90's, but since I have never seen it duplicated, I thought I would share it and let you consider it for your EAP. You are welcome to use this idea by changing the name of the service to one you find suitable, but different than mine. The following background and rationale for this utilization hack is obvious. Many employees will never phone the EAP, and so you need to make every reasonable attempt to reach them. This does the trick. 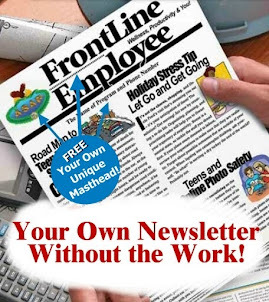 Create an order form with a large menu of wellness topics that include handout titles, tip sheet titles, or booklets on workplace wellness topics, such as those distributed by Abbey Press using their product called "CareNotes." 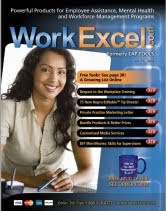 Or, you can use the workplace wellness tip sheets from WorkExcel.com (purchase the entirely library here). On the order form, allow employees to confidentially choose five topics/titles. The form should be mailed via U.S. Postal mail to the EAP office. The EAP then fills the order and mails it back to the employee or family member. Distribute a postpaid envelope with it the order form for best results. Emphasize confidentiality. Only the EAP will receive the order from the employee. Postal mail is confidential of course. The beauty of this outreach technique is the opportunity to promote your EAP with a cover letter designed to encourage the employee or family member to visit the EAP for the issues or problems that concern them, identified in the titles they chose. Do this once per year. 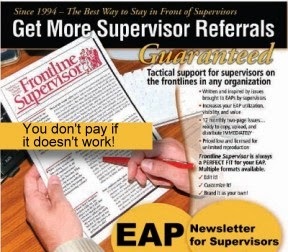 Have the employer to reimburse the EAP directly or make it a part of your service. The titles of the booklets distributed to employees are not shared with the employer. This is also an important part of the service and key to its effectiveness.